You know, this is just how my mind works. 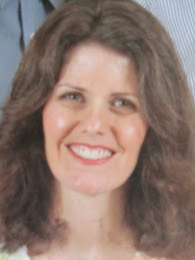 I think about the great products out there, then try to think of a way around buying them. Owning a heart-shaped silicone candy mold would be a nice thing to have, but in truth, I would only use it one day per year. The other night I was thinking, "how could I make my own heart-shaped candies for Valentine's Day?" 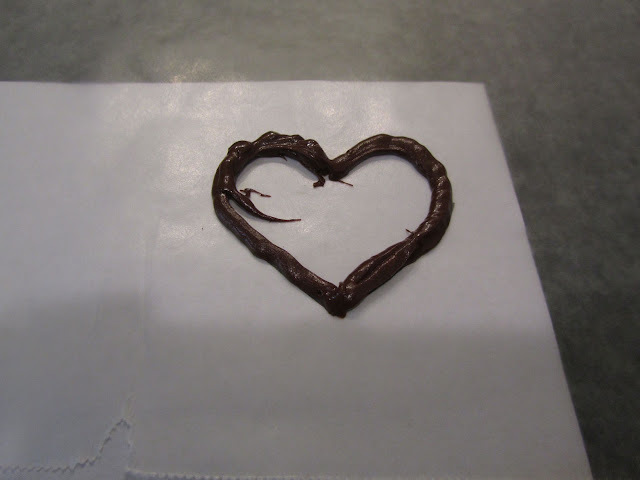 At first, I thought that maybe I could freehand some melted chocolate with a piping bag. I tried one, and then realized that I did need some sort of guide, a template. 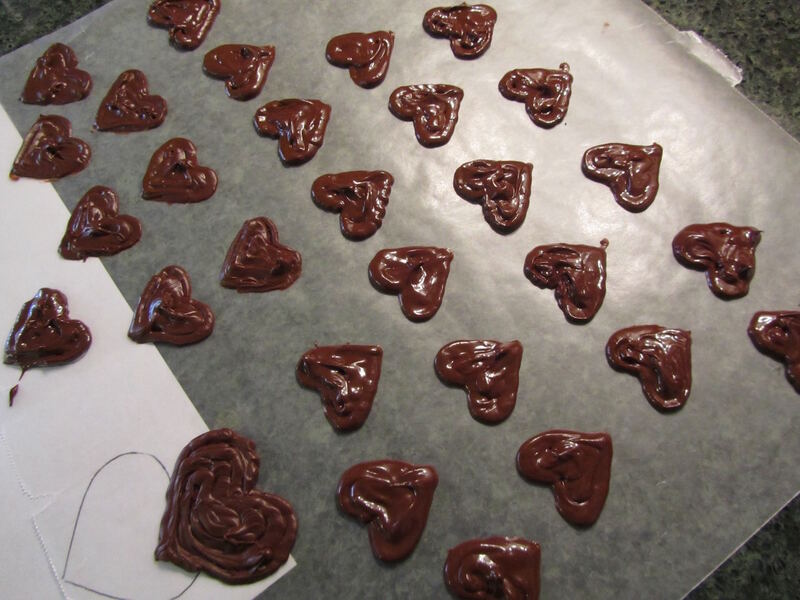 To make heart-shape chocolate candies, I used semi-sweet chocolate chips, red candy melts, white chocolate chips, Crisco shortening, 3 snack-size ziploc baggies, 1 sheet of waxed paper, 1 sheet of white paper, scissors, pen, small bit of scrap paper. 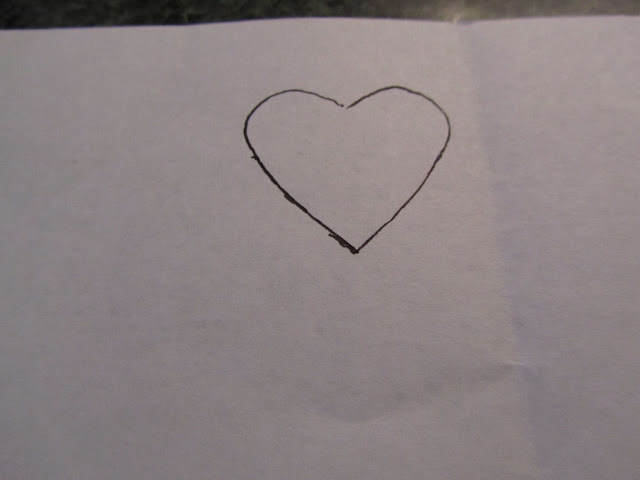 To make a template, I cut a paper heart out of the scrap paper and traced its outline onto the sheet of white paper. On the kitchen counter, I laid a sheet of waxed paper over my template. I used the baggies as piping bags, one for each color of chocolate, snipping a tiny corner off of each before filling with melted chocolate. In a glass measuring cup, I melted 3/4 cup of semi-sweet chocolate chips with about 1/2 teaspoon of Crisco. I used my microwave and melted in short 10-15 second bursts, stirring with a table knife in between bursts. When the chocolate was melted I scooped it into one of the prepared baggies. 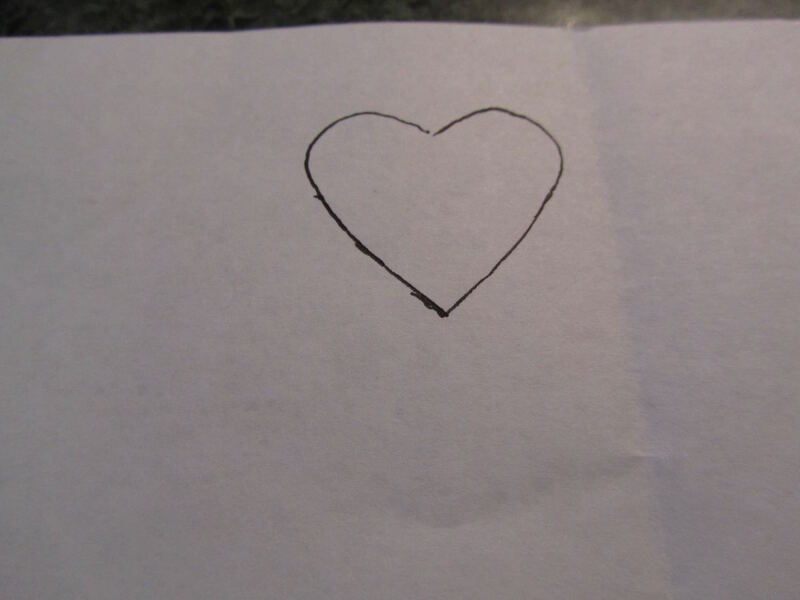 I piped the outline of the heart onto the waxed paper which was over the template, following the lines of the heart. 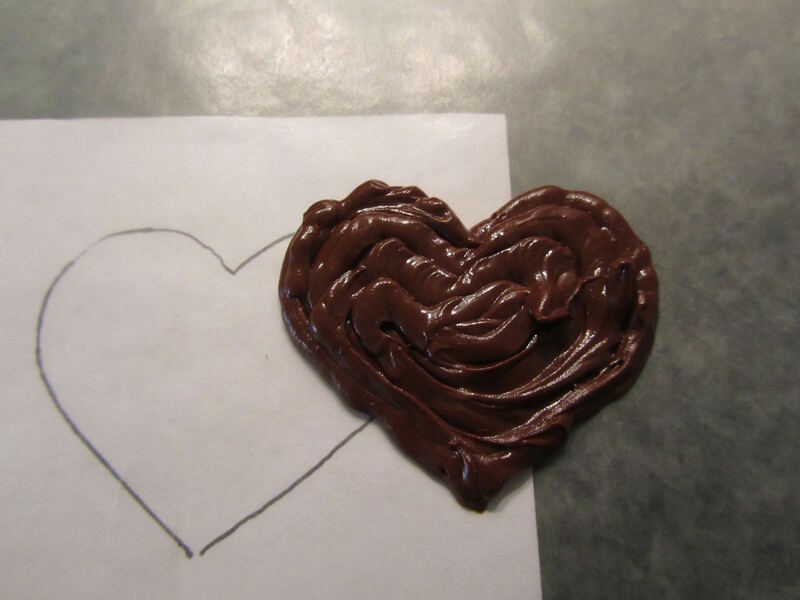 To make multiple hearts, I slid the template around under the sheet of waxed paper. Whenever the chocolate became too thick to pipe smoothly I put the baggie of chocolate into a custard cup and microwaved for about 6 to 9 seconds. The hearts were thin, so I decided to build up the hearts with a second layer of chocolate. 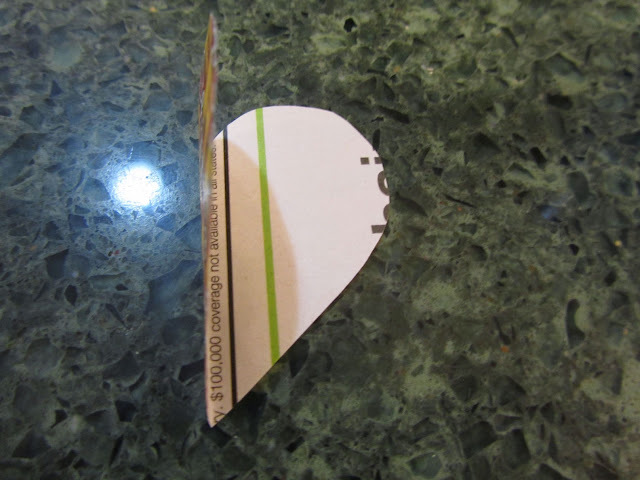 I added the second layer inside the outline of the hearts by about 1/8-inch. You can see the difference between a single layer heart and the built up heart in the photo below. I didn't worry about how neat the hearts looked as I had a plan for concealing the messiness -- add some deliberate messiness in contrasting colors! I let the hearts firm up while taking care of other tasks. 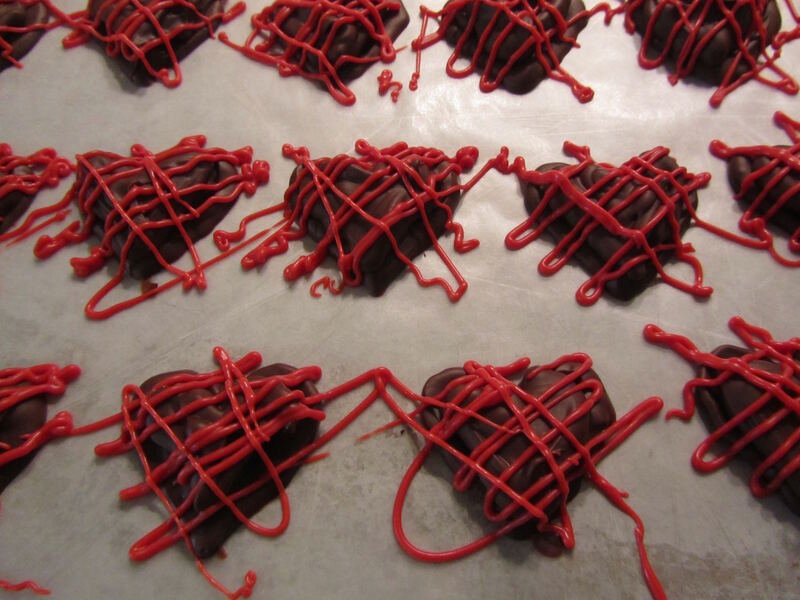 Next, I melted some red Wilton Candy Melts. I have these leftover from last summer when I planned on making red, white, and blue dipped pretzel rods. I had a coupon for JoAnn Fabrics and the candy melts were on sale. 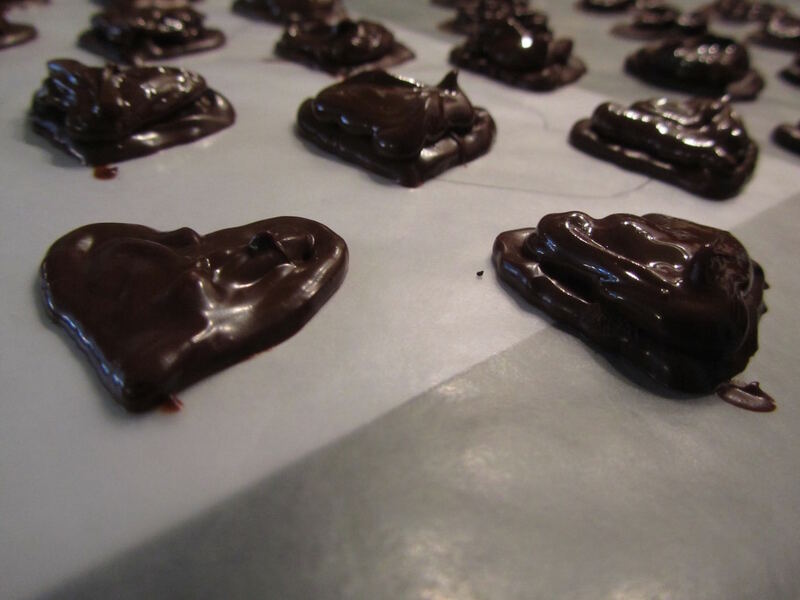 However, the chocolate hearts could also be drizzled with just white chocolate chips, milk chocolate chips, or a combo of both of those. Just so that the color contrasts with the semi-sweet chocolate hearts. 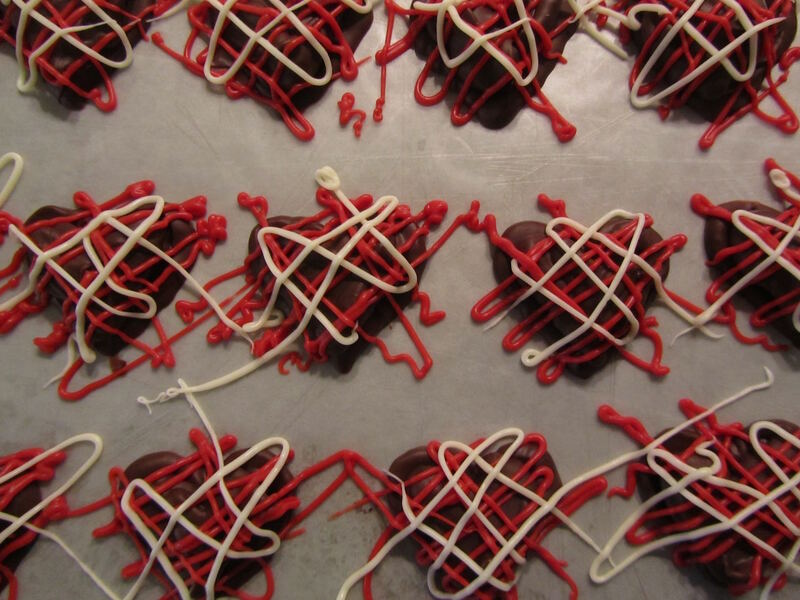 Here are the hearts ready to be dressed up. I only used about a dozen of the red wafers. 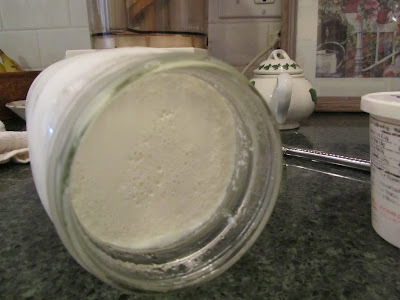 It melted into about a 2 tablespoon pool. I scooped this into the 2nd prepared baggie. Before drizzling, I zapped the filled baggie in the microwave for about 6 seconds, to insure that it would flow easily. I drizzled in one directions, then turned the sheet of hearts around and drizzled in the other direction. Following the red drizzle, I added a bit of white drizzle, using about 2 tablespoons of white chocolate chips and 1/4 teaspoon of Crisco melted in short 10 second bursts in the microwave. Again, just before drizzling, I zapped the filled baggie for about 6 seconds for a smooth flow. Whenever the tip became clogged, I either microwaved for additional few seconds, or cleared the clog by squeezing any hard lumps out of the bag on onto a bare spot on the waxed paper with my fingertip. 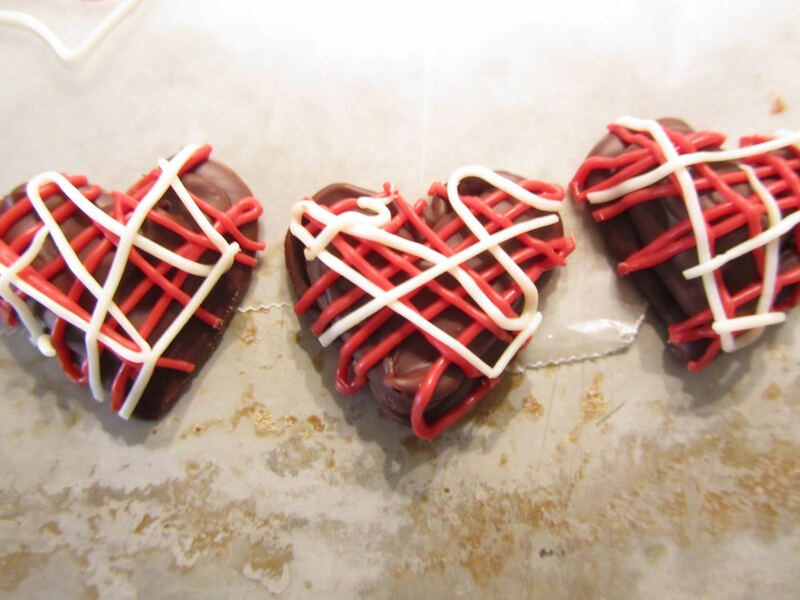 As you can see, the imperfections of the semi-sweet hearts are concealed with the contrasting drizzle. 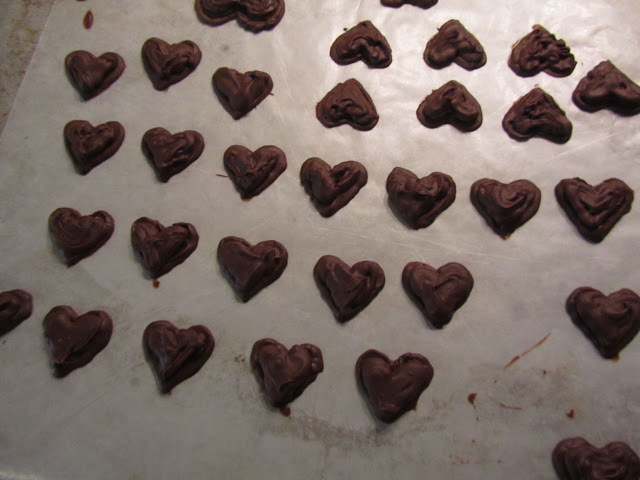 After the hearts had set up, I used a paring knife to trim the edges a bit. For a first time go at these, I think they turned out nice. I am still working on how I'll package them, although I can tell you this much, I'll be just using what I have on hand for the packaging, which may include recycled cracker boxes, ribbon, and spray paint. FYI, because of the white bloom that develops on candies made from packaged baking chips, they have a shelf-life based on best appearance (not taste or safety) of about 10 days. The white and red candy coating should maintain a good appearance for a longer period. 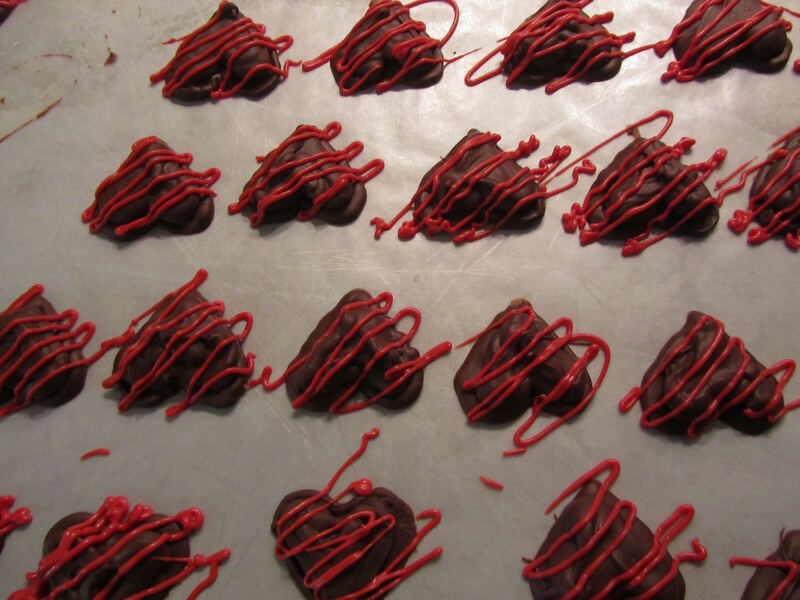 For this project, I used 3/4 cup of semi-sweet chocolate chips (68 cents), about 10 cents each of red and white chocolate candy, and about 1 cent of Crisco, for a total of 89 cents for 30 Dove-size small hearts and 1 larger heart, about 4.5 ounces of candies. I've made these as gifts for 3 people, so each gift cost under 30 cents. They taste much like the chocolate chips from which they were made. So, the better quality of chocolate chips, the tastier these would turn out. I'm pretty good about not sampling the nicest-looking ones. I tend to think of something like this as a "product" and not so much a treat that I could eat. I mostly sampled the leftover chocolate in the baggie, though, and enjoyed that. Oh my goodness, you are so very clever! Never would have thought to try this, but since I have all the ingredients, I may just have to...but, like live and learn, may be a bit too tempted to sample the whole batch. Thank you for sharing your continued boundless creativity and frugality. Love it! Have fun making these, if you try it out! And thank you for the compliment! Have a great weekend, Lynn. The big heart is the one that I have saved for myself. I'll sample that one soon! The "messiness" is part of the charm, at least in crafting circles lol. In fact I like to add messiness to my projects since I tend to be OCD. Very nice Valentine gifts, looks pricey and gourmet! !